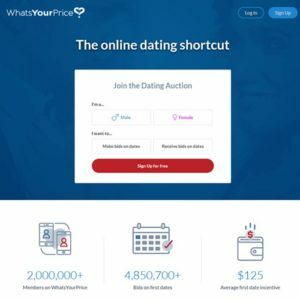 WhatsYourPrice.com, built in 2010, is an online dating shortcut. It’s a brand new dating field. The dating is based on an incentive game. Instead of exchanging messages and getting to know each other, whatsyourprice lets members get straight to the point. Meanwhile, the site doesn’t allow escorts service. Through placing bids, the member will choose which bids he/she will take. Normally, the bidding member should pay the agreed amount for the date, as well as all the date expense. The site reported that it has 2,000,000+ members, 4,850,700+ bids on first dates, and $125 average first date incentive. The statistics are from the site homepage. We can’t verify it. For any problem, “Help Center” is available. You can also create Customer Support ticket for further help. Purchasing credit to make offer. Agreeing on an amount is the first step to a conversation. No need to pay. Request a first date incentive. Agreeing on an amount is the first step to a conversation. Whatsyourprice.com provides an efficient way to find a date. The site name tells you what the website is all about directly. It sets a new dating scene for generous male users and attractive female users. 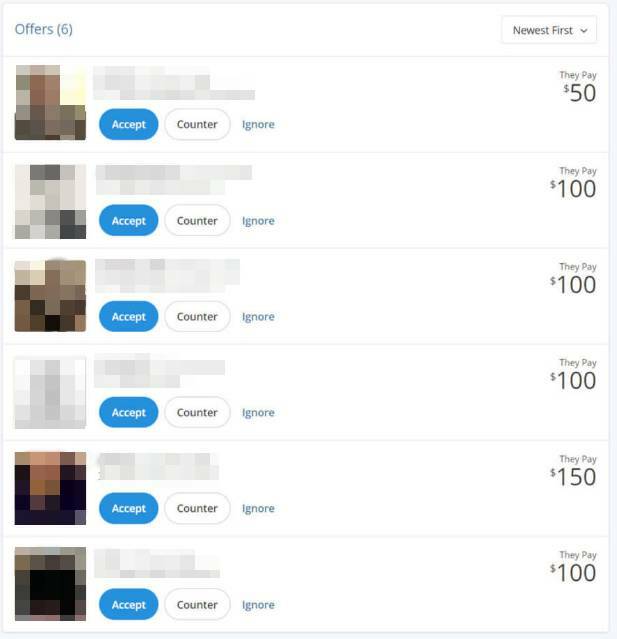 Normally on this site, male users make bids on dates while female users receive bids. Furthermore, women don’t need to pay for the site service. They can enjoy all the features only if they have a completed profile and photos. At the same time, women dominate the “bidding” dates. They can decide whether to accept the date or not and what the bid amount will be. On the other hand, men pay for everything. Firstly, they have to pay for credit fee to unlock the message feature. Then they can contact members who accept his offer. Second, men need to pay the date fee as well as the date expenses. To summarize, this site is a kind of paid-to-date social site, similarly to sugar daddy dating. Some people think it brilliant while someone can’t accept this dating idea. It’s up to you to join it or not. In generally speaking, whatsyourprice has fulfilled some people’s wish. For example, men who are willing to pay for the date with an attractive lady, and women who can get compensated for time spent on the date. If you are interested in, join it for free.